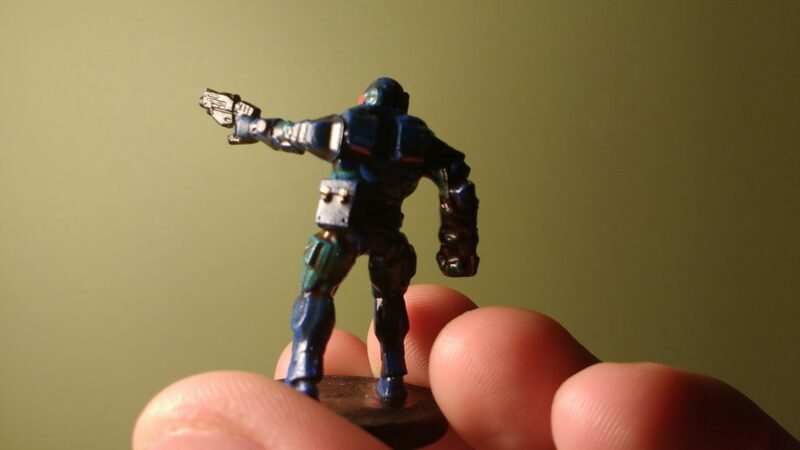 I’m a big Megaman fan so, of course, I had to make one of the Enforcer miniatures that I’m working on into a tribute. I gave this one a pistol, a pouch, and the “Super Arm“. 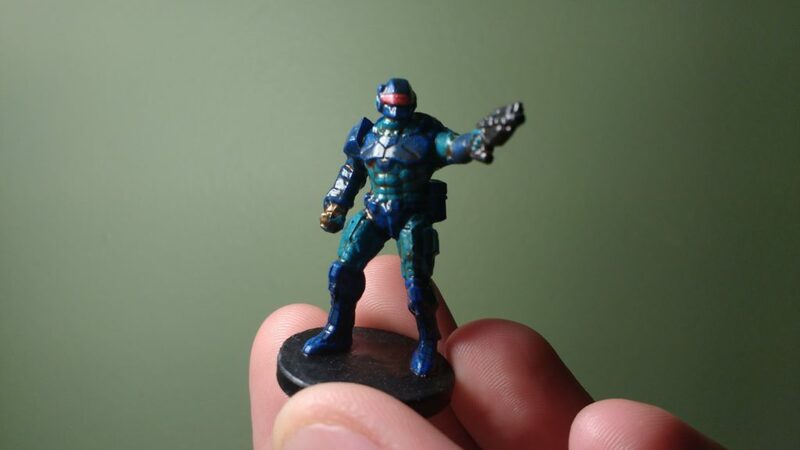 Again, like with the previous Enforcer which I did at the same time, I was surprised and disappointed by how much the DIP method darkened the miniature. Still I think that this miniature will be a fun one for someone to use and that it turned out nicely.